I love that people use stickers to personalize their cars. One can go completely insane and personalize one’s car with chrome plating, a custom paint job, an upgraded motor, but all of this runs to serious money. Or one can somehow acquire a little sticker that lets people know what one finds interesting. It’s a little bit of one’s personality on display. Of course I see lots of them as I am driving along, but it is hard to get the traffic to stop so that I might take a picture. So these are various stickers that I noticed as I strolled along in parking lots. 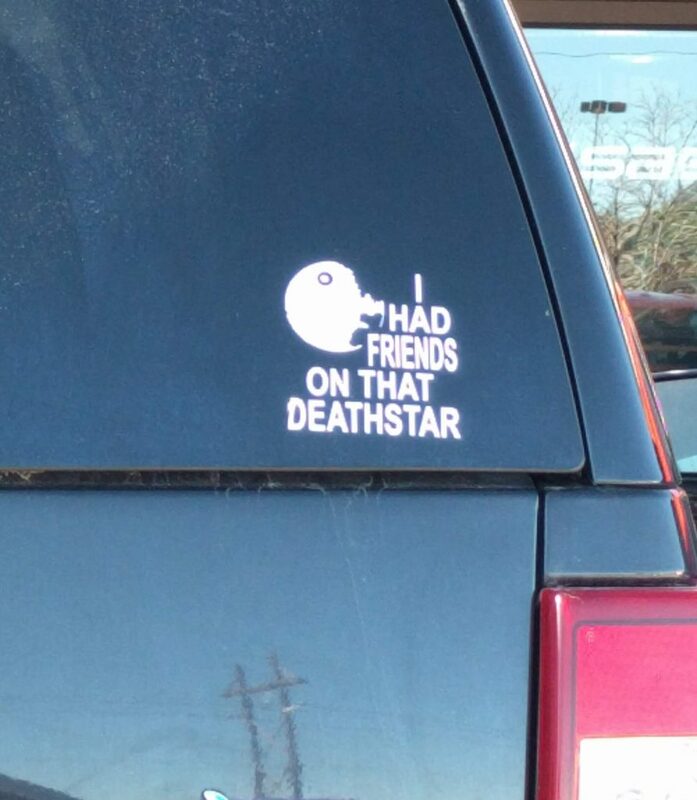 Friends are important, even if they are part of the evil empire. 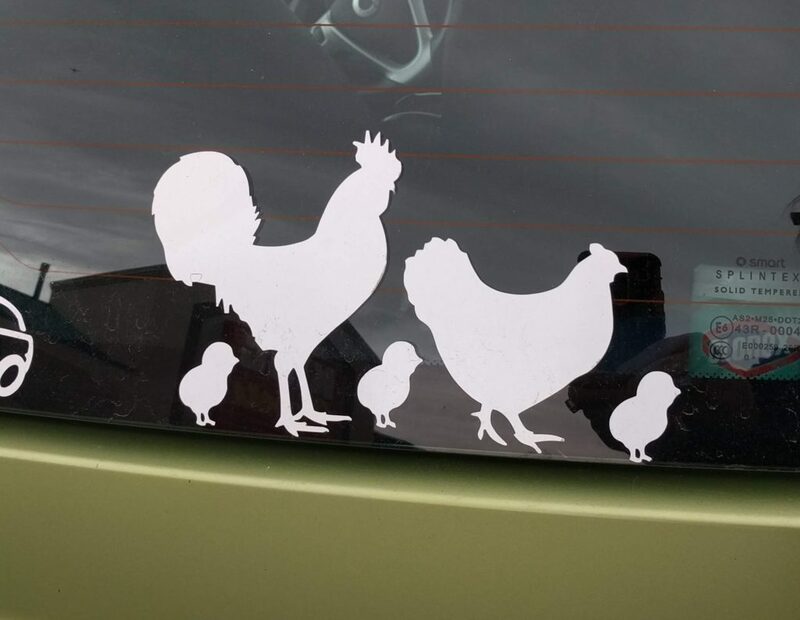 Nobody here in this car but the chickens. (How do they reach the foot pedals)? Now wait a minute, I really don’t think the Beatles are members of this family. 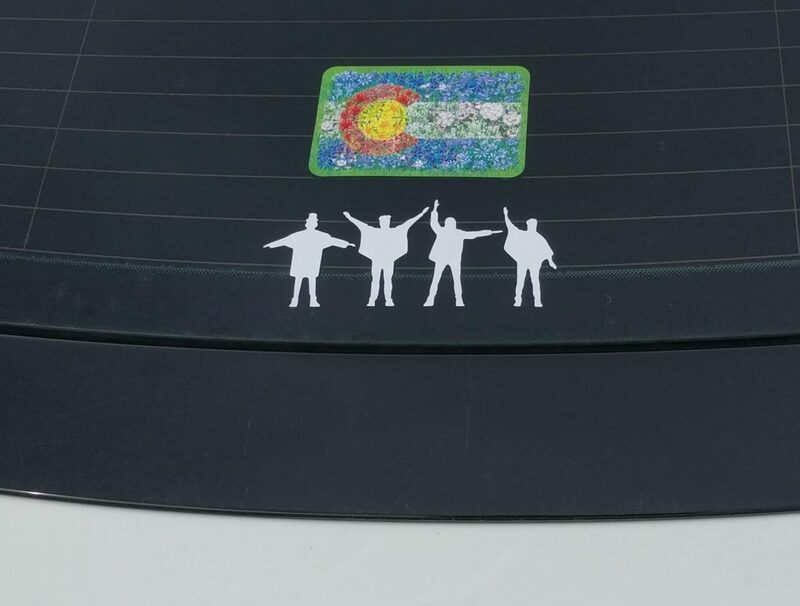 For one thing, I am fairly certain that the Beatles would be driving a much, much nicer car. 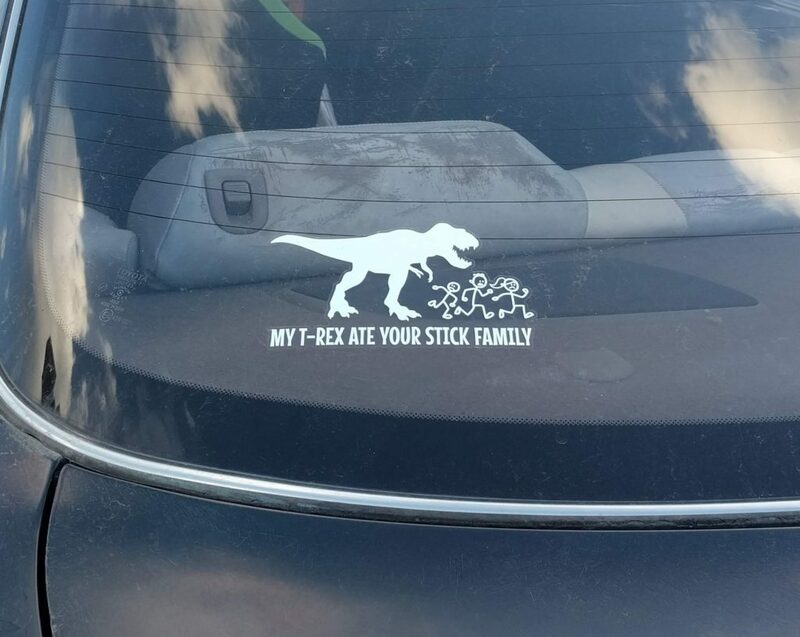 This person has a rather negative attitude about showing one’s family connections. But at the same time, they obviously have a love of stickers. Hmmm, what a conundrum. Okay, now this person is more on my wavelength. And at this point you are probably wondering what sort of sticker have I put on my car? None. So I remain an enigma. 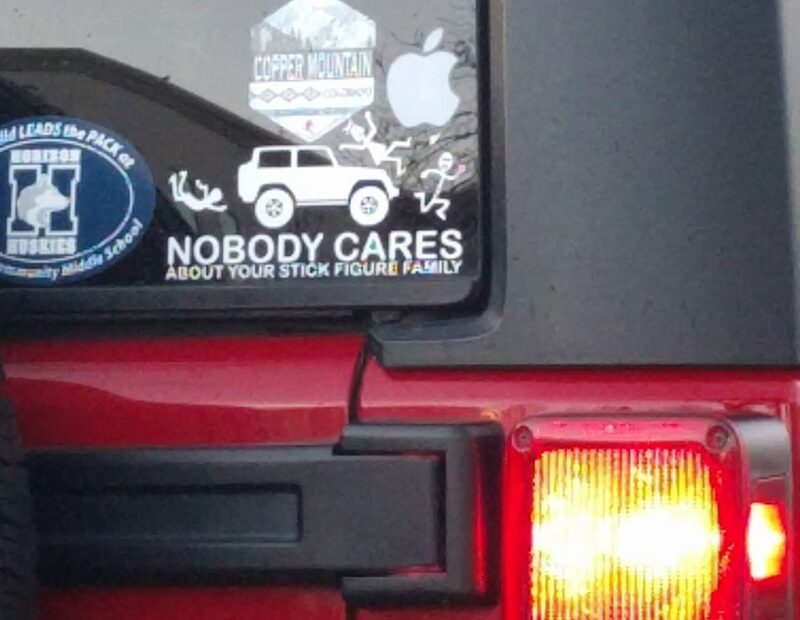 Thank you for posting pictures of the funny window stickers you see. I only ever see the traditional ones!